Here is the quick list of the top four dating sites in Vietnam. I’ll go into more detail in my reviews later in this article. 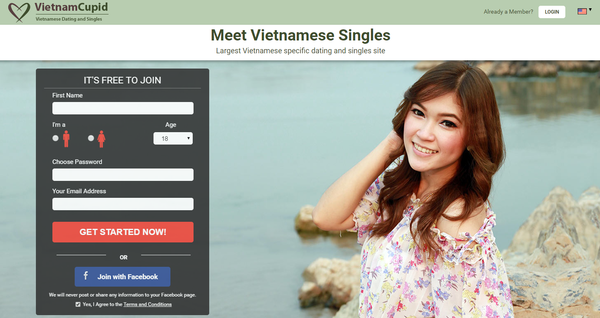 Without further ado, here are my detailed reviews of the top four dating sites in Vietnam. VietnamCupid is the best online dating site in Vietnam (they have an app as well). If I only had money to spend on one site, this is the site that I would spend it on. 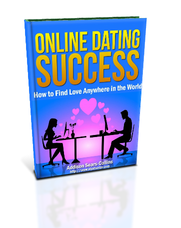 If you log on at any given time, there will be hundreds of singles online. VietnamCupid is run by one of my most favorite online dating companies, Cupid Media. Cupid Media owns sites that I’ve used in the past like Afrointroductions.com and BrazilCupid.com, when I was living in Africa and Brazil, respectively. The site has a vibrant community, a polished design and killer features. The translator app in particular is an amazing feature, massively growing the pool of matches you are able to connect with. 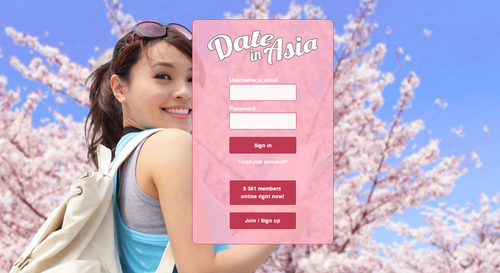 Signing up for VietnamCupid is quick, simple, and costs you nothing. All that’s needed to begin is your name, gender, password and an email. Next step is to write a few words about yourself, and what your ideal partner would look like, and you’re done. At this point, you can either finish your profile, or jumpstart your search for that perfect match right away. Occasionally the site will prompt you to fill out more of your profile to continue, which can be bothersome if you’re not looking to complete your profile right away. After designating your ideal partner’s qualities, you can look through the matches VietnamCupid gathers for you. You can sort these matches by Newest Members, Photos First, Last Active, and Relevance, and either browse just their photos, photos with basic information, or their full profiles, one-by-one. These options also apply to your personalized searches, which can be narrowed down by age, location, body-type, etc. Basic messaging on VietnamCupid includes a few different communication options, none of which are useful for actually connecting with other Standard members (there is unlimited communication with premium members). As a non-paying member, your options are limited to “sending interest”, adding to your favorites, or simply visiting their profile. Whenever you do one of these actions, VietnamCupid will notify them, and they can visit your profile or respond. You can send messages to each other, but they’ll be “locked” and unreadable. As a premium Gold or Platinum member, you’ll have IM, audio, and video chat all at your disposal. It is well worth the extra money. Some of VietnamCupid’s best features are its anti-spam measures, which I experienced first-hand. When first signing up for this site, I filled out a cursory profile, refraining from uploading photos and barely including any information. Immediately after signing up, my profile was promptly suspended for 48 hours while they performed a background check. A quick phone-call and an email with copies of my ID later, and the problem was solved. The whole experience assured me that I’d be safe from spammers moving forward. Cherryblossoms.com (also known as Blossoms.com) is a popular pay site in Vietnam (and the Philippines as well) and is ideal for the guy who is really looking to get serious (i.e. find a wife). The reason Blossoms has been so successful for such a long time is because it’s easy to navigate, has solid features, strong security measures and a lot of quality profiles. If you want to meet single people from Vietnam, this site is worth checking out. 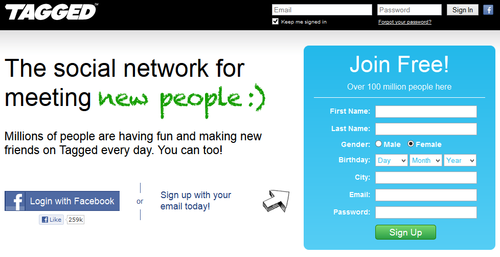 To sign up, all you need is to provide your name, gender, email address and password. On the following two pages, you’ll provide basic information about yourself, your age, birthday, location, etc., along with a brief paragraph describing yourself and what you’re like. Additional personal details, including your current home address, which I found strange because people really should never put this information online for everyone to see. You can upload up to 12 photos of yourself. Select a profile background from an assortment of colors. The Top 10 things you would like others to know about you, plus 10 Top things you’d like to know about them. You are given the ability to edit certain profile logistics, like chat options, privacy settings, and message notifications. You can also have filter settings for messages and chat. There are some preset searches on Blossoms: You can search through the active members (people that have been on the site in the past month), profiles of people who just signed up within the last 48 hours, members that are presently online, and members that have already viewed your profile. You can also search on your own using Basic and Advanced searches. Blossoms will also present matches to you, all based on the criteria you provided, such as age, location, height, lifestyle habits, etc. There are a lot of different options for sending messages. The basic ones are custom text messages, “smiles,” and saved template emails. You can also Favorite someone, or add them to your Friends. You can also do an Instant Messaging chat, live video chat and/or send video messages. My favorite is sending video messages because they’re a good way to revive a lapsed interaction or add more drama to an already lively conversation. Blossoms.com has an especially unique feature allowing members to find out whether a certain profile is actually genuine or not. This is something that other dating sites should have. With each profile there is a link to Tineye, which checks the origin of their photo, and a link to Google to find out if the information on their profile is repeated someplace else on the Internet. Tineye is ideal for spotting fake profiles that use photos of a model or celebrity as their own, which unfortunately happens all the time on these dating sites. If something seems odd or fishy in any way, you can report this and even block members from viewing your profile or communicating with you. This is done right beneath the profile photo. I know a lot of friends who love this site because it is free, has a lot of members, and they’ve had success with it. However, as is the case with any free site (think OKCupid or PlentyofFish), you get what you pay for. I find the quality on DateInAsia pretty poor, and there seem to be a lot of profiles that look fake. However, if you prefer a free dating site, this is an ideal site for you. The benefit of this site is that it has a lot of members in not just Vietnam, but all over Asia. If you work hard enough, you are virtually guaranteed to come away with some contacts. However, at the end of the day, you get what you pay for. You will have to spend a lot of time weeding through low quality profiles. Tagged is similar to Facebook, but instead of staying in touch with those you already know, which is what Facebook is primarily used for, Tagged was launched in 2004 to help users meet new people. Since 2004, the website has grown into a virtual behemoth, with 300,000,000 members, with more joining every day, spread over 200 different countries. Given the site’s popularity, I was surprised to see how plain the web design is throughout the entire site. They have an app as well, so if you prefer to access it through your mobile phone, you can do that too. The profiles and tags all look very sub-standard in my opinion. I recommend you sign up for Tagged and give it a try after you’ve exhausted the other options above. Just fill in the usual basic information and then you can upload a photo if you want, and, if you think your email contacts would like to join as well, you can invite them. You’ll receive a confirmation email with a code that you’ll need to enter, and at that point you’re allowed to enter and look around the site. Tagged is designed so that you can pretty much customize your profile by allowing you to set prompts for favorite things, interests, and dreams. They also let you add your own fields with their very own themes, change the skin on your profile, join and create groups, post widgets, photos, comments, and videos to your profile, and purchase “Pets,” which are actually other profiles. In addition to the basic browsing of profiles, Tagged has a feature called “Meet Me,” which has become quite famous. This feature allows members to browse photos, select the profiles that appeal to them, and when a mutual match pops up, both members are notified. A lot of other sites have copied this feature, most notably Tinder, the well-known mobile app for dating. Tagged also lets members play an assortment of games, which are all fun and make it easier to meet other members and connect. To start communicating, you can send a wink to someone, but no more than 1 wink per person in a span of 24 hours. You can also send a text message, which can be spruced up with stickers, emojis, and etc. When you click to send a message, a separate window will open, which seemed odd to me. Other ways to communicate are to invite someone to join a group, post a comment on their profile, bestow a gift, give a TAG, which is a GIF, of which there are many options, but in my opinion all are fairly low-quality from a visual standpoint. The site’s emphasis on having everyone meet new people allows it to stand out as a good choice for singles seeking someone to date. The most unique feature on the site is the game Pets, which helps users do exactly this. Pets is somewhat like fantasy sports, allowing members to use virtual cash in order to purchase other profiles that they can “own” like a pet. These pets can then be bartered with other members, or even sold for a fixed price. In the end, players compete with each other to see who can make the most virtual money, or who can buy the most pets. Social media games have never held great appeal for me, nor has fantasy sports, so the Pets game didn’t really impress me either. But it is extremely popular on Tagged.